Big legal question: Is Trump's WOTUS repeal 'reasoned'? The Trump administration's 42-page proposal for repealing former President Obama's Clean Water Rule largely builds its case on a 2009 split decision by the Supreme Court on federal regulation of swear words on television. In FCC v. Fox Television Stations, the high court ruled, 5-4, that an agency can change regulations without the move being considered arbitrary or capricious under the Administrative Procedures Act as long as it provides a "reasoned explanation" for the change. An agency, the majority ruled, "need not demonstrate to a court's satisfaction that the reasons for the new policy are better than the reasons for the old one." "It suffices that the new policy is permissible under the statute, that there are good reasons for it, and that the agency believes it to be better, which the conscious change of course adequately indicates," says the majority opinion penned by Justice Antonin Scalia. 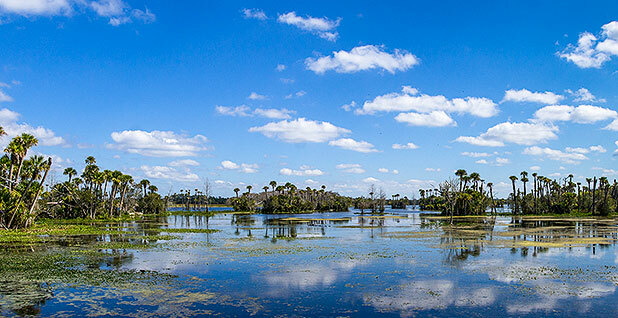 Obama's Clean Water Rule — also known as the Waters of the U.S., or WOTUS — sought to clarify which wetlands and small, isolate waterways get protected under the landmark 1972 environmental law, the Clean Water Act. The final version of WOTUS, which was released in 2015, came packaged with an economic analysis and a 408-page technical report offering scientific justification for what streams and other water features were included or excluded from the regulation (Greenwire, Feb. 10). Released yesterday, the Trump administration's proposed rule that would repeal WOTUS doesn't dispute or even mention the Obama EPA's technical report. Instead, the 42-page Trump proposal, which will be accompanied by an economic analysis that hasn't been released yet, makes policy arguments for repealing WOTUS. The proposal cites FCC v. Fox to justify avoiding a scientific debate about the merits of WOTUS and its repeal. "This is a strategic way for them not to have to argue on the science," said Larry Liebesman, a former Department of Justice attorney who's now a senior adviser with the Washington water resources firm Dawson & Associates. The first focuses on the 6th U.S. Circuit Court of Appeals' stay on WOTUS. The Supreme Court is currently considering whether challenges to the rule belong in circuit or district courts and that stay could dissolve if the high court rules in favor of district courts. Though the U.S. District Court for the District of North Dakota had preliminarily enjoined WOTUS in 13 states, such a result could lead to "inconsistencies, uncertainty and confusion," the proposed repeal says. EPA and the Army Corps of Engineers also argue that WOTUS didn't adequately consider Section 101(b) of the Clean Water Act, which describes the role that states play in regulating water quality. The 31 lawsuits filed against WOTUS, one of which was filed by EPA Administrator Scott Pruitt when he was Oklahoma's attorney general, "raised concerns" about the scope and authority of the regulation, particularly as it pertains to states' rights, according to the proposed repeal. Although the proposal acknowledges the 2015 rule includes some discussion of the role of states' rights in implementing the Clean Water Act, it faults WOTUS for not including "a discussion in the 2015 rule preamble of the meaning and importance of section 101(b) in guiding the choices the agencies make in setting the outer bounds of jurisdiction of the Act." The proposed repeal doesn't dispute the reasoning behind which waterbodies are considered protected by the Clean Water Act under the 2015 rule. Instead, the repeal quotes WOTUS to explain why the Trump administration is trying to avoid a scientific debate, noting a section of the 2015 regulation says, "Science does not provide bright line boundaries with respect to where 'water ends' for purpose of the [Clean Water Act]." The proposed repeal also cites WOTUS saying that determining which waterways count under federal jurisdiction "is not a purely scientific determination." The proposed repeal then raises FCC v. Fox to explain that a "reasoned explanation" for a new regulation can be based on only policy changes and "need not be based upon a change of facts or circumstances." It argues that President Trump's February executive order directing EPA and the Army Corps to repeal WOTUS constitutes a policy change. Legal experts who have reviewed the proposed repeal differ on whether it would constitute a "reasoned explanation" under Fox, and thus whether it could withstand a legal challenge if unchanged. Case Western Reserve University law professor Jonathan Adler said the Trump administration is "right that they don't have to show that the old rule was wrong or that something has changed." He said EPA and the corps adequately justify their position "in discussing the need to account for state prerogatives." And Liebesman called relying on Fox a "strategic way" to avoid contending with the 2015 regulation's scientific record. He said the agencies' argument that rescinding WOTUS would be "business as usual" because the regulation is stayed could be considered "reasoned." "They are saying, 'No harm no foul,'" he said. Vermont Law School professor Pat Parenteau disagreed. "Their explanation basically comes down to, 'Why not?'" he said about the explanation that repealing WOTUS would maintain the status quo. "You could just as easily argue that there is no reason to repeal the regulation because of the stay." He noted that while Fox says a "reasoned explanation" is required, it also says agencies must have a "good reason." Parenteau said the explanation that WOTUS failed to give enough consideration to states' rights is not "reasoned" because WOTUS did discuss state roles and because the proposed repeal does not explain how a potential lack of consideration affected the resulting regulation and would justify repealing it. "I thought they would provide a flaw," he said. "It's not like they are saying, 'Oh, my God, we had a math error. They left out a zero and the impacts are different than they thought.' They don't deal with the content of the 2015 regulation at all." Natural Resources Defense Council attorney Jon Devine characterized the administration's reliance on Fox as an attempt to avoid contending with "the science that underlies the Clean Water Rule." "They can't make it a fight about the science because the science supports the 2015 regulation," he said. Devine also noted that one reason the Obama administration decided to write the 2015 regulation was to answer complaints from industry and environmentalists alike that the 1986 regulations were too confusing to follow. That's a point that the proposed repeal acknowledges, even as it says repealing WOTUS would limit confusion. "The notion of returning rules to the messy state they were in prior to the Clean Water Rule as a remedy for some alleged confusion is pretty weird," Devine said. But Donald Kochan, a lawyer with the Regulatory Transparency Project, says a "reasoned" explanation is not the same as a "reasonable" one. While stakeholders may debate whether or not a regulatory change is "a good course of action" or a reasonable one, "those are not the inquiries available to a judge questioning whether or not it is a reasoned explanation." Fox, he said, only requires "an acknowledgement that you are changing position and a statement of some reason why." "Given the low bar," he said, the repeal "is a reasoned explanation."